Bali is one of those places where, if you’ve never been, booking accommodation can be extremely overwhelming. First you have to decide what area of Bali you want to call home-base; there’s Seminyak, Legian, Kuta, Uluwatu, Ubud, the list goes on and each area offers something different from the next depending on what your preferences are. 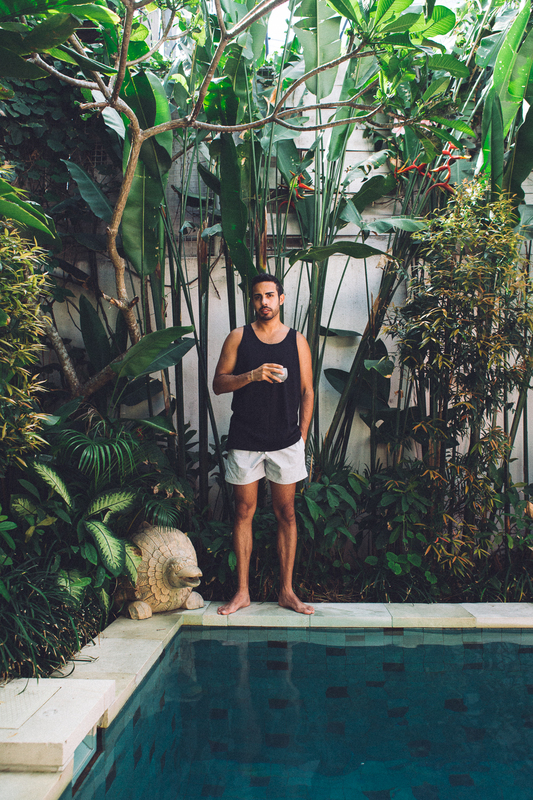 After researching other blogs, Gary and I decided we wanted to stay in Seminyak. 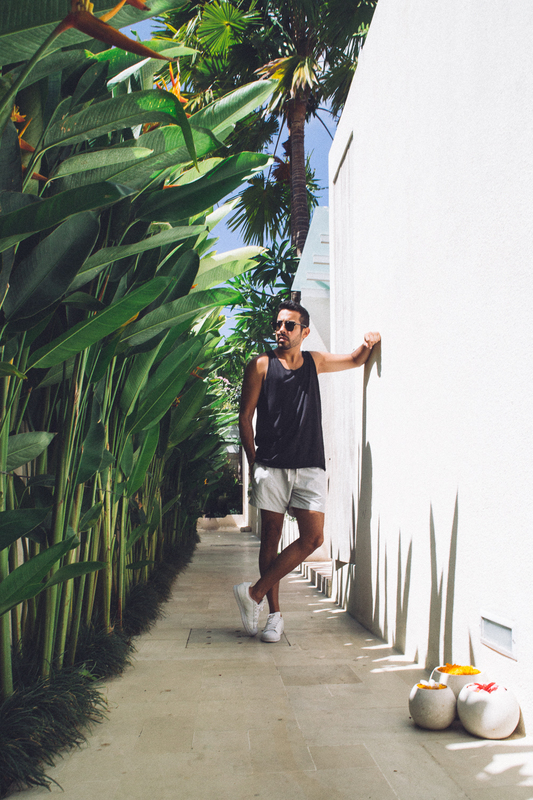 Here, we would be close to hip cafes, restaurants and shops but also be able to find a quiet place to stay with not too much partying. We found Aleva Villa on agoda.com and the idea of having our own private pool was what sold us. As soon as we arrived to Aleva Villa we were greeted by two women staff members who made our check-in process simple. We were even given a cold, fresh coconut with two straws which was very much welcomed as the Bali heat can be draining. Although our room wasn’t quite ready when we arrived (we were a little early for check-in) we waited in an air-conditioned lobby and a short time later we were escorted to our room. At most hotels/resorts this is where you get “dropped off” and left to figure out the amenities in the room on your own, not at Aleva Villa. Tia walked us inside the room and gave us a full rundown of everything from the light switches to where we could find mosquito spray and how to operate the room-inclusive Bluetooth speaker. As soon as we walked into our 1-bedroom suite, our expectations had already been exceeded. There were so many details in the room that made us feel welcome and immediately comfortable; our names written in the kitchen area; “Welcome Gary and Nicole,” origami swan towels on the bed with rose petals, two robes and slippers and of course the Bali must-have - a flower filled bathtub. Aesthetics are very important but as a content creator, the true test for me is the strength of the wifi. No need to worry, you can download a movie or stream music faster than you can say terima kasih (thank you in Indonesian). The staff at Aleva Villa are always smiling and always eager to make your stay the best it can possibly be. 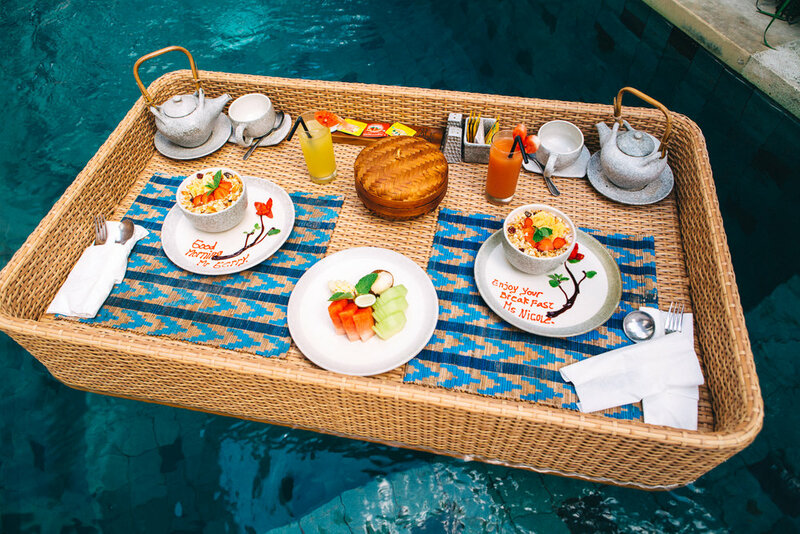 Want breakfast in the pool? Check! They’ll deliver your meal at a time that suits you and in a floating bamboo basket. 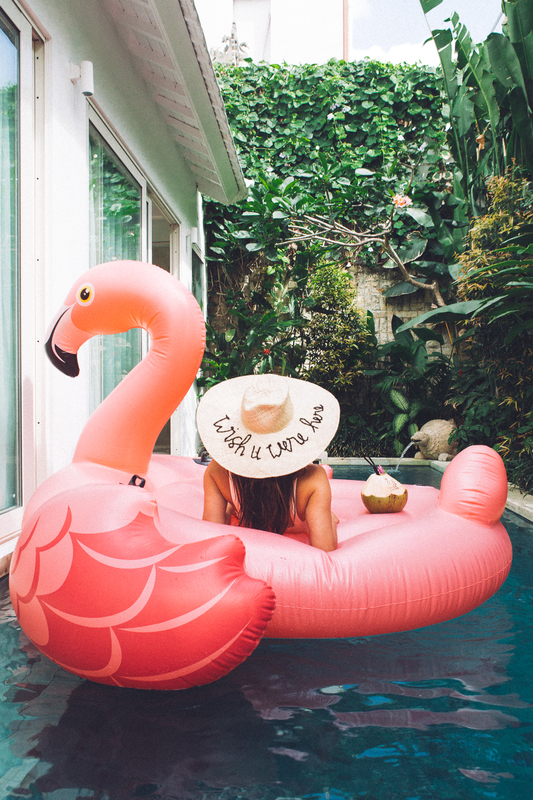 Want to take an Instagram picture on a flamingo or unicorn floatie? Check! They’ll deliver that to your villa too and throw it in the pool, all you have to do is jump from your bedroom door onto the floatie. Need a ride to town, the beach, the mall? Check! They offer shuttles a few times a day to various locations. Late night cravings? Room service! Turn-down service? Of course! Afternoon tea? With some sweet treats included! 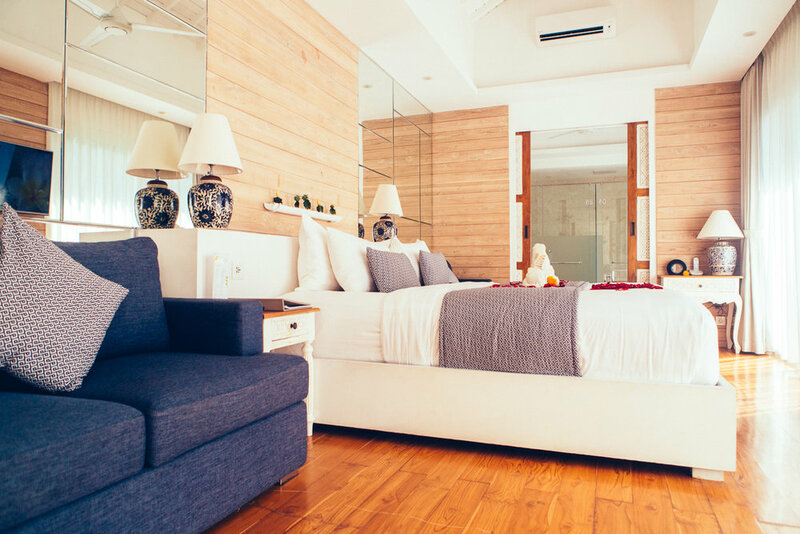 Whether you’re a traveler that only comes to your room to sleep, or you like to stay in bed until 11 a.m. and relax in privacy, Aleva Villa is the place. Gary and I spent a day lounging by the pool, me on the pink flamingo floaties and him on the hammock. We ordered food, I took a bath and then we ended the night working on our laptops and watching Netflix. 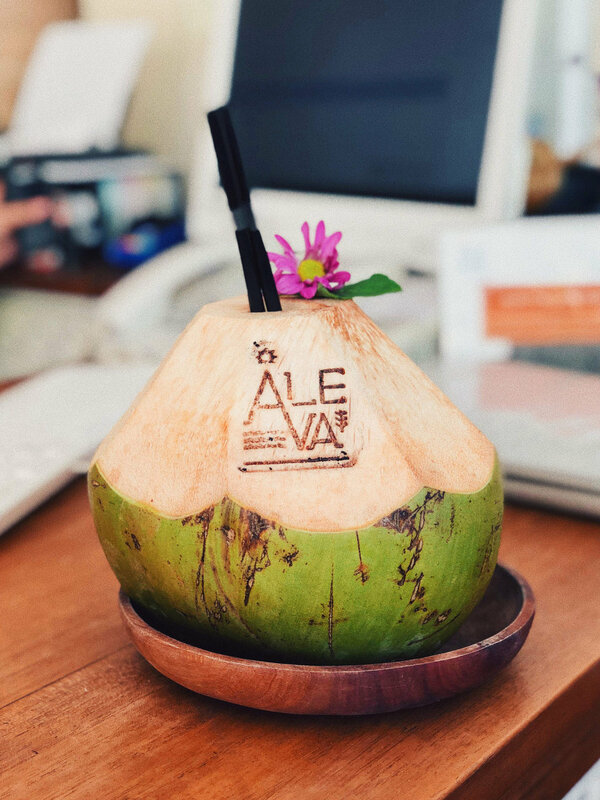 The bar has been set very high for the rest of our time in Bali but we hope that the next guests enjoy and appreciate Aleva Villa as much as we did.